fitCal - Your events. Your calendar. Your way. Your events.Your calendar.Your way.Use fitCal to build a customised race and events calendar and export it to iCal, Google Calendar or Outlook. Select Next and then Save at the top of your screen. 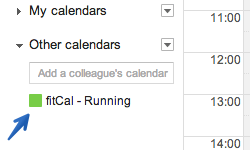 After you've completed setup, open the Calendar application on your device and make sure your fitCal is selected. Syncing will automatically begin. Adjust the settings as required and click OK. 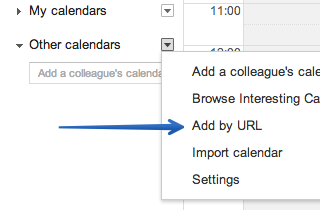 In the Other calendars menu, select Add by URL. Your fitCal will be available once the import is complete. Under the Internet Calendars tab, click New. Adjust the subscription settings as required and click OK.